Imagine spending years of your life working on a cutting-edge new invention for the government - which incidentally you have to part-pay-for out of your own pocket - only to be told to smash it to pieces and burn all evidence. This is exactly what happened to Tommy Flowers and even now, nearly 70 years later, his first computer, Colossus, is still far more well-known than he is. A dapper man [YouTube] walks down an institutional corridor, turns right into a room, flicks on the light switch and shuts the door: “This was our Battersea Bridge Laboratory,” he says, making his way into the large grey and white space. 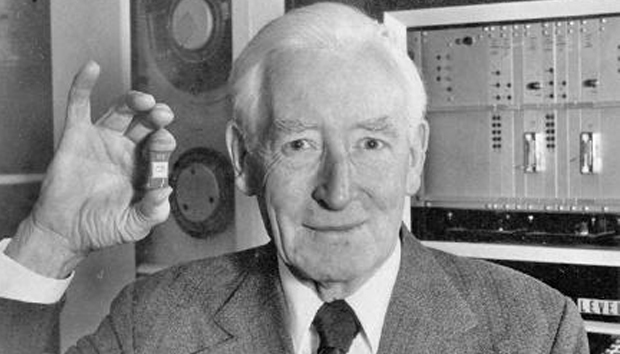 This is Tommy Flowers, father of computing, and under-celebrated hero of World War II code-breaking. In recent years the fame of Colossus has grown exponentially - a quick Amazon search reveals numerous books on the subject. Yet far less is generally known about Flowers himself, the man behind the idea, who put both his back and his cash into the project. Unlike Turing, Flowers was happily married and lived to the ripe old age of 92. And while his life remained unencumbered by scandal it has, even now, lacked deserved recognition. “The great extent of public interest now in Turing is in part due to the drama and controversies about his life, his treatment after the war and his tragic death,” an expert, who would prefer to remain anonymous, told IDG Connect. Forgotten tech father: Bill Tutte vs. Alan Turing?